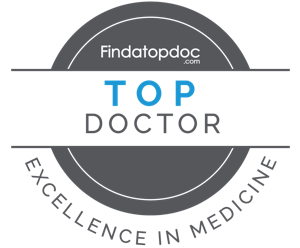 Dr. Wisroth is certified from Harvard Medical School in Lifestyle Medicine: Nutrition and the Metabolic Syndrome. He is also certified from Harvard Medical School in Lifestyle Medicine: Prescribing Exercise. He is confident that he is equipped with the skills and knowledge to manage your nutrition to the highest degree. Diabetes has grown to an epidemic in the United States. Between Type 1 and Type 2 diabetes there are over 25.8 million Americans that have diabetes according to the CDC and 79 million Americans are pre-diabetic. Type 1 is an autoimmune disease in which the immune system attacks the insulin producing beta cells in the pancreas. Other causes that can trigger autoimmune responses include a virus, GMO organisms, heavy metals and foods. Type 2 diabetes is the most common type of diabetes and is caused by insulin resistance. This is a metabolic disorder that is caused by high blood sugar. The common medical approach is to take a medication. We believe in approaching it in a natural way and we do this by addressing the nutrition, exercise and nervous system aspects of diabetes. It is important to know what to add and what to eliminate. We help many people with both type 1 diabetes and type 2 diabetes and would love to discuss your specific diabetic issue and how Chiropractic may help.